The Dzogchen Shri Singha Foundation and Dzogchen Shri Singha of Salt Lake City are honored to announce three teachings with Venerable Archarya Jigme Lama Sean D. Young over the weekend of March 9-11, 2018, at the Wasatch Retreat and Conference Center in the Episcopal Church Center of Utah near downtown Salt Lake City. Suggested donation: $50 for all three sessions, or $15 for Friday evening only, $30 for Saturday only, or $30 for Sunday only. No one will be turned away for lack of funds. Contact saltlakebuddhapath@gmail.com for details. Venerable Archarya Jigme Lama Sean D. Young, Padma Jigme Dorje, is an authorized Lama and Dharma Teacher in the Dzogchen Lineage of Buddhism. Lama Sean has studied with his root teacher His Eminence Dzogchen Khenpo Choga Rinpoche for over 18 years and has directly assisted Rinpoche with the first three editions of the Buddhist book, The Buddha Path. Lama Sean has also graduated from five Dzogchen Lineage Internships along with many seasonal retreats beginning with the first US 10-day retreat led by Dzogchen Khenpo Choga Rinpoche in 2000, near Fruitland, Utah. In 2014, Lama Sean also received an advanced degree of Vajra Yoga Practitioner at the first Dzogchen Lineage Internship commencement ceremony at the Dzogchen Retreat Center USA. In the same year, Lama Sean was authorized by Dzogchen Khenpo Choga Rinpoche, along with eight other Lamas, as a Venerable Archarya Lama. The Lamas were selected through a dynamic process of divination, prayer, Rinpoche’s 10-year evaluation, and a majority vote of the 2014 Dzogchen Lineage Internship Sangha. Lama Sean’s teaching activities began with teaching introductory Buddhism courses in 2002. Since then, he has taught hundreds of students in public teaching events, university guest lectures, weekend workshops, seasonal Dzogchen Lineage retreats, and tutoring during Dzogchen Lineage Internships. Lama Sean aspires to embody the principle of inclusiveness, dedicating his life to practicing and teaching the Dharma and serving as President of the Dzogchen Shri Singha Foundation, while being a loving husband and father, and maintaining a career as a creative professional. Lama Sean is currently supporting the publication of future editions of the Buddha Path and other texts and aspires to fulfill his teacher’s aspirations to help establish a stable Dharma system to promulgate the Dzogchen lineage throughout the world and benefit all beings. The Dzogchen Shri Singha Foundation is pleased to announce our 2018 Dakini Weekend Retreat. The retreat will be taught by Upasika Bodhisattva Padma Shiwa Tso, Mari Evans, under the guidance of His Eminence Dzogchen Khenpo Choga Rinpoche. 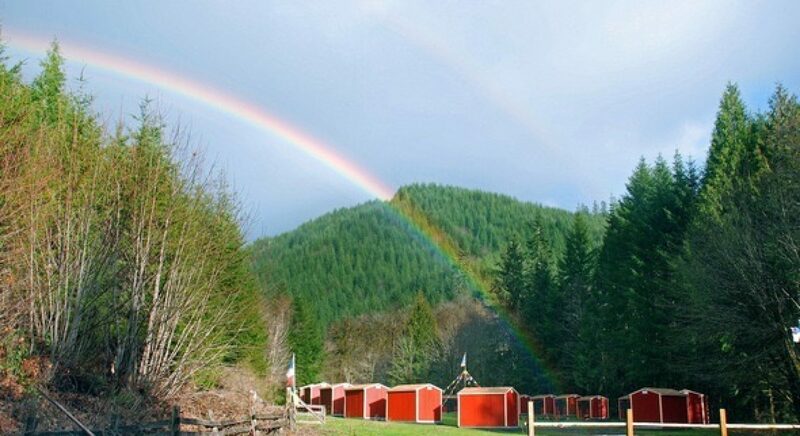 This weekend retreat will be held at the beautiful Dzogchen Retreat Center, outside of Eugene, Oregon, USA. This retreat presents an ideal opportunity to deepen your understanding and experience of the Dzogchen Lineage teachings. The curriculum includes in-depth teaching on the fundamental principles of Buddhism as presented in Dzogchen Khenpo Choga Rinpoche’s practice text The Buddha Path. This program’s engaging approach is designed to give students real-world skills for coping with the stressors of modern life by laying out a solid foundation for Dharma practice, on and off the cushion. The Dzogchen Shri Singha Foundation is pleased to announce our 2018 Grand Blessing Ceremony of the 10,000 Offerings to the 21 Noble Taras. This three-day gathering will be conducted by His Eminence Dzogchen Khenpo Choga Rinpoche and will be held at the Northwest Tibetan Cultural Association in Portland, Oregon. The 2018 Dzogchen Buddha Path Tara Drupchen will take place from 10 AM to 6 PM on Friday, Saturday and Sunday, April 27, 28 and 29, 2018.